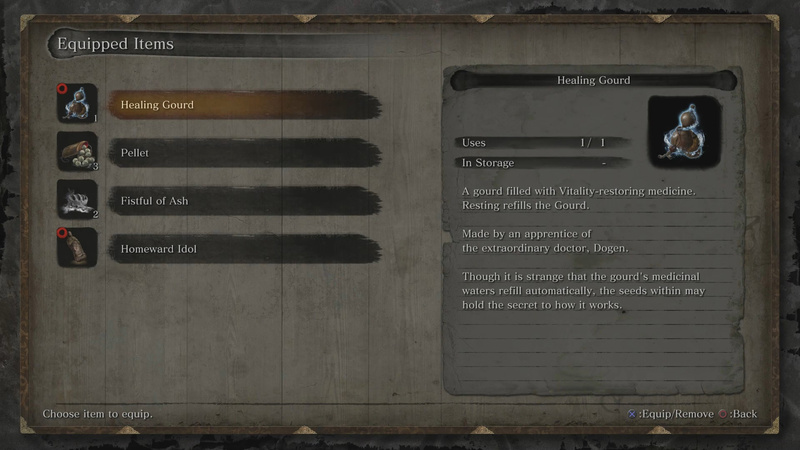 In Sekiro there are a number of items you will discover on your travels. These items will help you and also provide bits of lore if you read their descriptions. To keep track of each item, check out our Sekiro item list below. 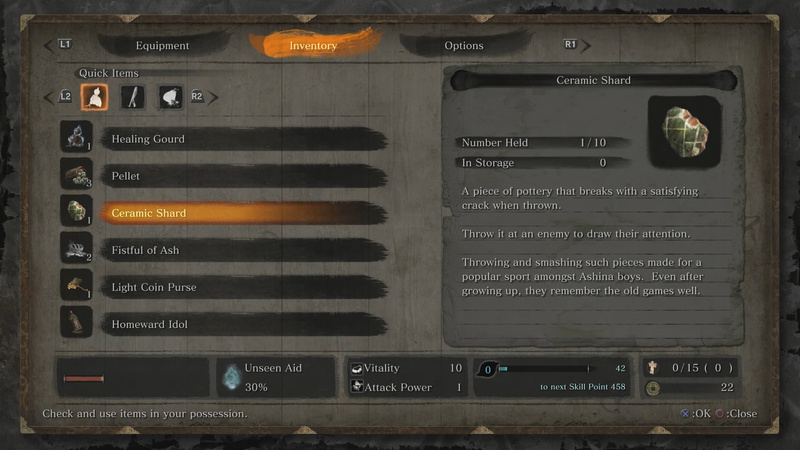 There are a number of items in Sekiro which have different benefits for their use. Below you will find a look at each item including how to acquire and their description. Acquired: Speak with the Heir during the tutorial mission. Use Description: A gourd filled with vitality-restoring medicine. Resting fills the Gourd. Lore: Made by an apprentice of the extraordinary doctor, Dogen. Though it is strange that the gourd’s medicinal waters refill automatically, the seeds within may hold the secret to how it works. Acquired: Found in the world and/or drop from enemies. Use Description: Medicinal Pellets that slowly restore Vitality. 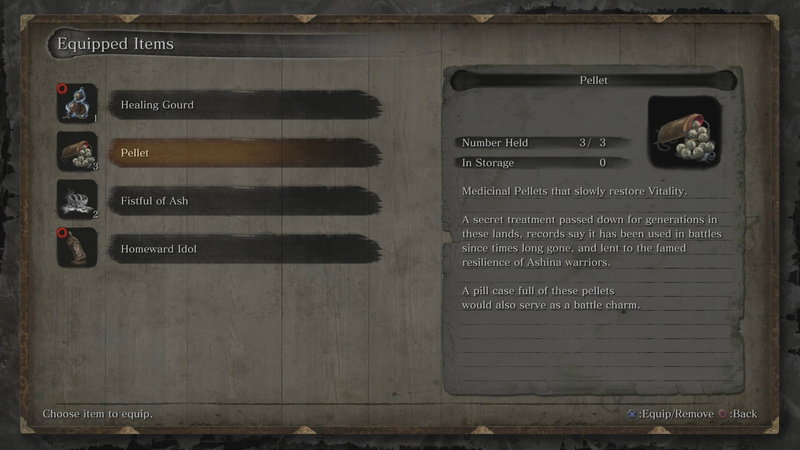 Lore: A secret treatment passed down for generations in these lands, records say it has been used in battles since time long gone, and lent to the famed resilience of Ashina warriors. A pill case full of these pellets would also serve as a battle charm. Use Description: Ash gripped into a hardened clump. Throw it at an enemy to temporarily distract them. Lore: In Ashina, the snow falls thick and thus the hearth runs thick with ash. Use Description: A small, palm-sized wooden Buddha. Can be used repeatedly. This Buddha is used to return home. It will return the user to the last visited Sculptor’s Idol or the Dilapidated Temple. Lore: Held by the Wolf ever since he was saved by his father, its corners are rounded with use. Use Description: A purse filled with a small amount of sen. It can be used to acquire sen inside. The sen in this purse is not lost upon death. Lore: Has a somewhat satisfying weight to it. Acquired: Found throughout the world/dropped off enemies. Use Description: A piece of pottery that breaks with a satisfying crack when thrown. Throw it at an enemy to draw their attention. 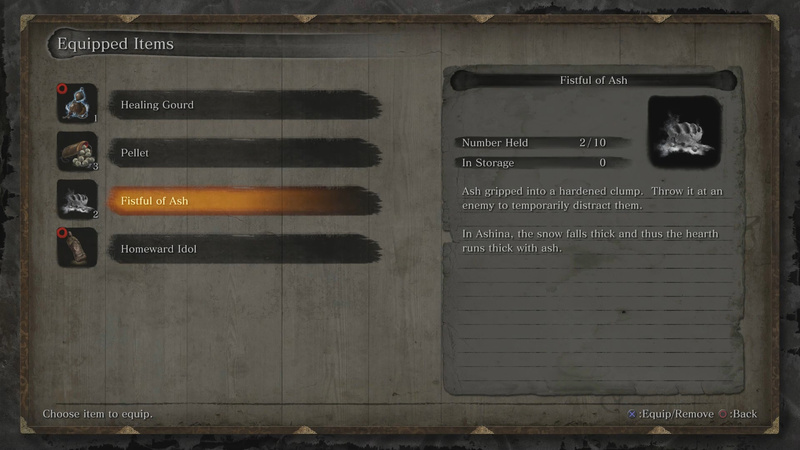 Lore: Throwing and smashing such pieces made for a popular sport amongst Ashina boys. Even after growing up, they remember the old games well. 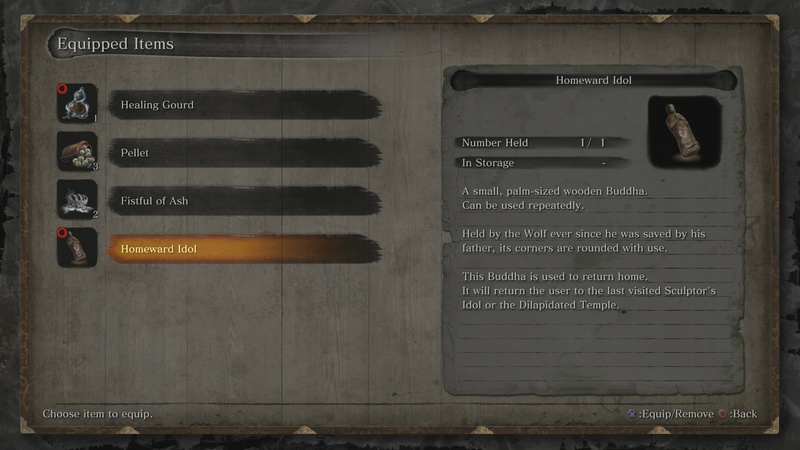 I will update our Sekiro item list with more items as I continue to play the game. Thanks for reading. Thoughts on our Sekiro item list? Drop them in The Pit below.